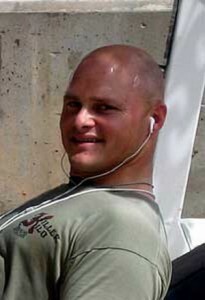 Jason “Ram” Ramseyer was born in Florida in 1978 and raised in Lenoir, North Carolina. Having enlisted into the delayed entry program in July 1995, he reported to Marine Corps Recruit Depot, Parris Island in June 1996 after graduating from West Caldwell High School in that same year. He completed recruit training in September and subsequently reported to the School of Infantry (SOI), Camp Lejeune, NC. After graduating SOI, Private First Class Ramseyer reported to 3rd Battalion, 8th Marine Regiment, 2nd Marine Division Camp Lejeune, North Carolina where he served as a mortar man. During that time he conducted a deployment to Kosovo in direct support of Operation Allied Freedom in 1999. In December 1999, Corporal Ramseyer was assigned as a Mortar Instructor at The Basic School (TBS) in Quantico, Virginia. During his tour at TBS, newly promoted Sgt Ramseyer achieved the level of second-degree black belt and was transferred to the Martial Arts Center of Excellence where he served as a Martial Arts Instructor Trainer. In November 2003, Staff Sergeant Ramseyer reported to Marine Corps Base Hawaii for duty as a Mortar Section Leader with Weapons Company, 3rd Battalion, 3rd Marine Regiment. In November 2004, he deployed to Afghanistan in direct support of Operation ENDURING FREEDOM and served as Platoon Sergeant for the 81’s Platoon Second Section detachment embedded with Kilo Company. Recognized for his excellence, Staff Sergeant Ramseyer was transferred to the Battalion S-3 for duties as the Training SNCOIC. In preparation for deployment to Iraq, Staff Sergeant Ramseyer was hand-selected to be the Battalion Commander’s Jump Platoon Commander; a duty he performed with consummate professionalism and unparalleled valor. He deployed to Iraq in direct support of Operation IRAQI FREEDOM in March 2006 and was killed in action on April 20, 2006. 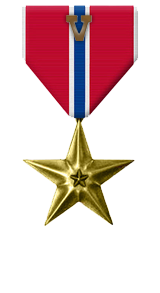 Jason Ramseyer’s personal awards include the Bronze Star with a combat distinguishing device, the Purple Heart, the Navy and Marine Corps Commendation Medal, the Navy and Marine Corps Achievement Medal with stars in lieu of a 2nd and 3rd Award, the Combat Action Ribbon with a star in lieu of a second award, and the Good Conduct Medal with stars in lieu of a 2nd and 3rd Award. He is survived by his wife Mandy, daughters Rylee Grace and Kadence, and son. For heroic achievement in connection with combat operations involving conflict with an opposing force while serving as Platoon Commander, Jump Platoon, Headquarters and Service Company, 3d Battalion, 3d Marines, Regimental Combat Team-7, I Marine Expeditionary Force Forward, from 15 March to 20 April 2006, in support of Operation IRAQI FREEDOM. Demonstrating an undying commitment to excellence and mission accomplishment, Staff Sergeant Ramseyer consistently performed his demanding duties in an exceptional manner. Recognized as a master of his profession, his devotion to duty, tactical expertise, and his ability to elicit maximum effort from those around him earned the respect and admiration of all Marines with whom he served. While conducting a mounted security patrol in support of Operation RESTORE TRUST, Staff Sergeant Ramseyer alertly identified a suspicious object that posed a threat to his patrol. While maneuvering with his Marines to secure the area, he instinctively recognized the object to be an improvised explosive device and warned his Marines to move back. A moment later, the device detonated, mortally wounding Staff Sergeant Ramseyer and seriously wounding two other Marines. Although grievously wounded and sensing the extent of his injuries, Staff Sergeant Ramseyer repeatedly directed that medical treatment be given to his fellow Marines first. Staff Sergeant Ramseyer’s disregard for his own personal safety, coupled with the ability to make critical and timely decisions, saved the lives of his fellow Marines. By his zealous initiative, courageous actions, and exceptional dedication to duty, Staff Sergeant Ramseyer reflected great credit upon himself and upheld the highest traditions of the Marine Corps and the United States Naval Service.